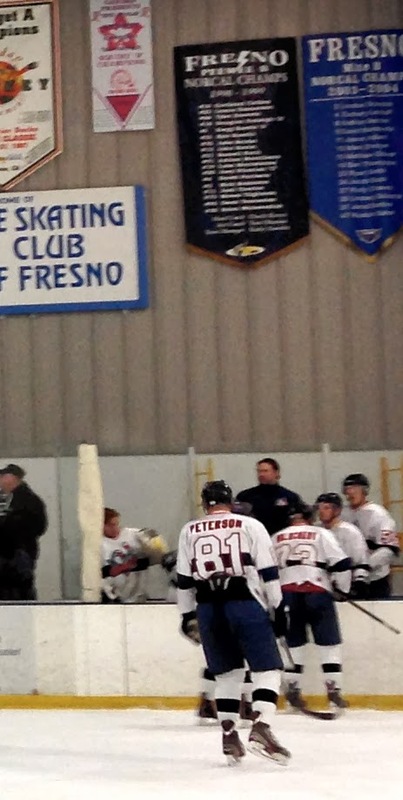 Nov. 8, 2013: Fresno, Calif.
My unplanned meandering through the lower levels of North American competitive hockey has already led me through Canadian Major Junior and Junior A and U.S. Tier II. At this point I ought to close the circle. 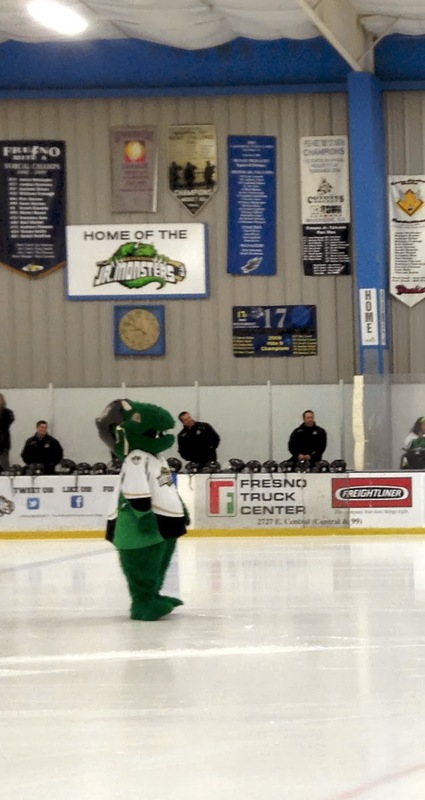 That leaves Tier I and Tier III, but since I had a short weekend to work with the process of elimination led me to the Tier III Fresno Monsters of the Western States Hockey League. Which may lead readers to the same question I asked myself — what the heck is Tier III? A question I asked again after watching the Monsters play their season opener at what is basically a recreational ice rink without a grandstand. How do they support a team that was able to play cohesive well-coached hockey, with trappings that include a mascot, without much capacity to sell tickets? Turns out the answer is simple — the players pay to play. I didn’t figure that out until after the game, which is just as well as it might have clouded my thoughts to think that these kids’ parents are paying so much to chase what for most will be an elusive dream of a college scholarship. Never mind the NHL. It was the home opener for the Monsters who were riding high in the standings after several weeks of road games and they played a very disciplined game against the last-place Gulls. But it was the Gulls that came out on top of the see-saw contest. A couple things made a difference for the Gulls — differences that highlight some of the factors that have these players in Tier III. Number one — goalkeeper Brody Cavataio played a terrific game for the Gulls. I almost said ‘played over his head’ but that wouldn’t be nice because, well, he’s not tall, a factor apt to limit his advancement despite his evident competitiveness, reflexes and positioning. Indeed, the Monsters potted their third goal over his shoulder. X-factor two was the Gulls’ massive Latvian defenseman Kalvis Ozols, who had come over from Europe less than three weeks prior. His uniform was lettered for a guy named Peterson. Ozols was a man apart in a way I can’t recall ever seeing in competitive hockey. He didn’t really speak to his teammates on the ice, during warmups, or waiting for a whistle. He basically had only one play: gather up the puck, storm up the ice, cross the blue line, and fire it – hard – at the Monsters’ goal. his teammates — was an indicator how far they would need to go to rise beyond Tier III. Recent years have been full of bad news about hockey in Fresno and it was far from clear the Monsters would get to play this season. First Time Experience: Instead of a shootout, after the first overtime the game went to 3-on-3 second overtime. Thanks to Mr. Ozols, there was no need to find out what happens after that. Nice Touch: The freshly built beer garden at one end of the rink. My Wife Will Be Happy to Read This: There were no fights. She Will Be Happy to Read This, Too: Moves are afoot to ban fighting in US junior hockey, according to this New York Times story with a dateline from Fresno of all places. Odds & Ends: Fresno game report;box score.